Located in Kenya's Tsavo National Park, the David Sheldrick Wildlife Trust is perhaps the most heart-warming organization in all of Africa. From a man’s life passion to a wife’s love to a successful conservancy: The David Sheldrick Wildlife Trust (DSWT) was born after the tragic passing of devoted conservationist and wildlife enthusiast David Sheldrick. Now, nestled in the bushes of Tsavo National Park in Kenya, DSWT cares for orphaned baby elephants, rhinos, and other animals and provides them with essential veterinary care. Join them to experience the joys of fostering an elephant and make friends with these three foot tall creatures. Experience the orphanage for yourself on our Kenya Conservation Safari. 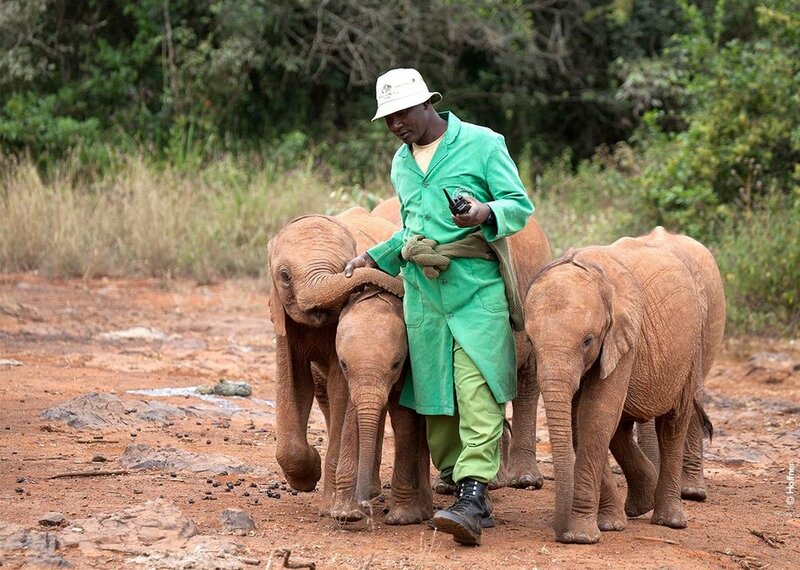 At the heart of the DSWT’s conservation activities is the Orphans’ Project, which has achieved world-wide acclaim through its hugely successful elephant and rhino rescue and rehabilitation program. The Orphans’ Project exists to offer hope for the future of Kenya’s threatened elephant and rhino populations as they struggle against the threat of poaching for their ivory and horn, and the loss of habitat due to human population pressures and conflict, deforestation and drought. To date, DSWT has successfully hand-raised over 150 infant elephants and has accomplished its long-term conservation priority by effectively reintegrating orphans back into the wild herds of Tsavo. In order to protect the future of all wildlife and biodiversity, the David Sheldrick Wildlife Trust is taking huge steps to safeguard unique and endangered wild habitats by securing Public-Private Partnerships with the Kenya Forest Service and Community Group Ranches. An example is the Amu Project, which involves the protection of DWST and surrounding communities of a 60,000 acre parcel piece of land for flora and fauna to thrive. As if that isn't enough, David Sheldrick Wildlife Trust is also involved in the prevention of poaching in some of Kenya's most sensitive areas. For over fifteen years the DSWT has been involved in funding and operating mobile de-snaring and anti-poaching units formed to meet the challenges threatening the wildlife and environment of the Tsavo National Parks. And of course the DWST veterinary team is close at hand through the course of all these projects to see to the care of any injured wildlife encountered along the way. We've been supporting the efforts of Wilderness Trust for decades. Join us by traveling on one of the safaris below.